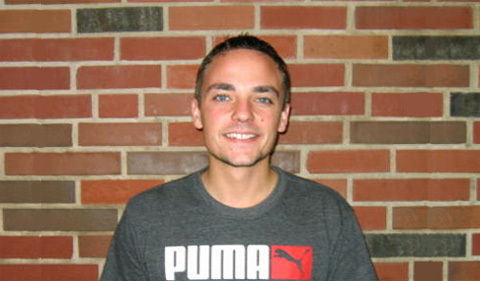 Psychology graduate student Andrew Manigault has received a $2,000 Graduate Student Research Award from the Society for Health Psychology, Division 38 of the American Psychological Association. Manigault’s adviser is Dr. Peggy Zoccola, Associate Professor of Psychology at Ohio University. He current research explores the effect mindfulness and and stress on health. “Given that cardiovascular disease remains the leading cause of death in the United States, there is a need to identify factors that can influence acute cardiovascular response and potentially improve long-term cardiovascular health. Mindfulness, or the practice of monitoring present moment experiences with acceptance, is thought to improve a variety of health outcomes by buffering against the cumulative effects of stress on health. However, not all aspects of mindfulness training contribute equally to its stress buffering effects,” he said. “Mindfulness is hypothesized to involve two sub-components: awareness and acceptance. Awareness refers to the use of attention to monitor one’s present-moment experiences whereas acceptance is a mental attitude of nonjudgment toward those experiences. Although training in mindful awareness is thought to improve cognitive functioning, greater awareness of distressing stimuli can also intensify negative affective states. In contrast, mindful acceptance may mitigate stress reactivity by allowing affective experiences to emerge and subside without judgment. Furthermore, some posit that training which focuses on both awareness and acceptance should yield the greatest stress buffering effect. “My dissertation project examines this claim by testing the independent and interactive effects of brief mindful acceptance and awareness manipulations on cardiovascular responses to acute stress,” he said.